President Obama got people thinking when he raised the possibility of discharging certain education loans in bankruptcy within the context of the executive action he signed last week — the one that’s intended to ensure unfettered access to government-sponsored relief programs and a means for registering complaints about unfair treatment. Not to be outdone, 13 U.S. Senators introduced the Fairness for Struggling Students Act of 2015 just two days later. 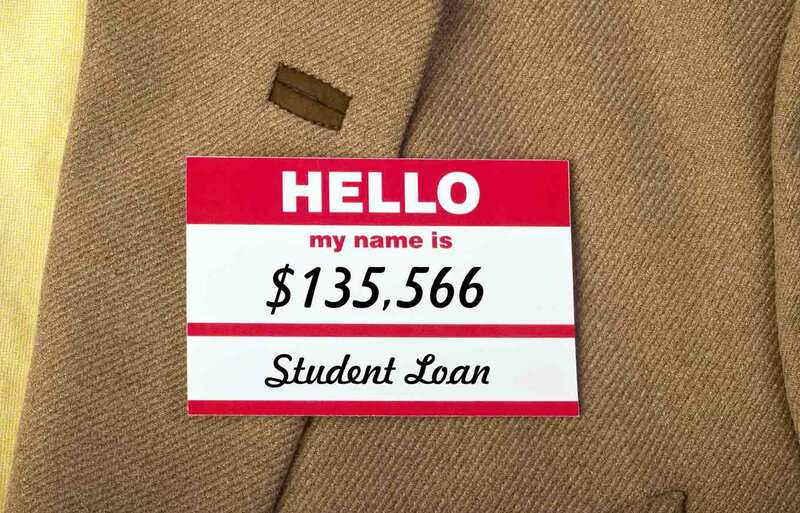 Their bill proposes to place private student loans on equal, bankruptcy-eligible footing with other consumer debts; in particular, those that are similarly uncollateralized. The problem is, none of this will mean very much. Private student loans represent roughly 10% of all student debt, and less than 10% of those loans are actually in default. So even if every defaulting borrower were to end up in bankruptcy court, neither measure would address more than 1% of the whole. So why not acknowledge the obvious and dispense with the artificial distinction between federal and private student loans in this matter? Because bankruptcy is a four-letter word in our culture. To most, it represents abject failure—the white flag of surrender. To others, it’s tantamount to amnesty — a deceitful ploy to avoid having to pay for a mistake. Yet why do we seem to be able to rationalize the discharge of mortgage, auto and credit card debts more than for education loans? Is it because many of us have managed to meet our own obligations? Or could it have something to do with the way we’ve learned to regard this category of debt? The exclusion of student loans from bankruptcy dates to the mid-1970s when – following years of disparaging stories about students who were allegedly “defaulting on purpose” as a passive-aggressive means of expressing their anti-government sentiments – generational gap-driven emotions trumped reason and 11 USC 523(a)(8) came into effect. To be fair, though, it’s not as if education-loan borrowers didn’t get anything out of the deal. After all, it costs a lot more to carry a credit card balance despite the fact that both types of debt are equally unsecured. The $1.2 trillion question, however, is this: Does a lower interest rate justify the student-loan borrower’s demotion to second-class citizenship? Consider what would happen if the bankruptcy exception were repealed. Lenders would be motivated to negotiate sustainable, longer-term accommodations with borrowers who are on the brink because, as the saying goes, “A rolling loan gathers no loss.” So, too, would the schools come under pressure to reduce tuition rates because reasonably priced financing will become that much harder to attain. Still, the idea of making education-related debts eligible for discharge is worrisome, given the potential impact on our taxpayer-supported system of finance. All the more reason to act now to head off that risk. It doesn’t take a whole lot of lending experience to realize that when roughly half of all the loans in your portfolio require some form of accommodation to facilitate repayment, it’s obvious the remittance schedules were improperly designed at the outset. These loans – all of them – need to be restructured for terms of up to 20 years without consideration for the entity that originated the contract (public versus private sector), payment status (current, past-due or in default), or subjecting borrowers to annual re-qualification. (I read that 40% of income-based repayment participants fail to file the necessary forms on time.) Debtors should also have the right to accelerate repayment without penalty so they may save on interest. Not only should we do this now, but we can well afford it, too. There is more than enough spread between what the government pays for the money it borrows to fund these loans and the interest rates and fees it charges to students and parents. Couple that with tighter controls over the loan servicing and debt collection processes and bankruptcy will once again be viewed the way it was originally intended: as a last resort. I would love to see this happen but think it’s unlikely for federal loans. It’s much more likely for private loans, but not with our divided government. Some types of private loans are dischargeable in bankruptcy, but not many since as a whole they were made exempt by the 2005 BAPCPA. 1) Private student loans are a big part of the issue here. Federal loans have low interest rates and very manageable payment plans. My issue is the $400 (soon to be over $1000 based on my payment structure) Sallie Mae / Navient wants every month for my private student loans. Lenders need to provide borrowers with income based repayment plans and lowered interest rates. Interest rates as high as 18% for education funding is just plain wrong, immoral, and should be illegal. Profiting on young Americans trying to make a better life for themselves is disgusting. 2) In 2005, the bankruptcy code was revised to make private loans non-dischargable in bankruptcy. No one wants to file bankruptcy, but if someone needs to do so in order to find relief from being trapped under their suffocating student debt, they should have this ability. The bankruptcy laws and rules need to be revised to provide relief for those who have excessive amounts of student debt and cannot make their payments. The reality is these folks will default anyway and will be subjected to harassment and abuse by collectors such as Navient. I have read stories about loan amounts tripling due to the collection fees. If I can’t afford $140K, what is the sense in making it $400,000? C’mon, let’s get real here. Those before us did not create bankruptcy laws as an easy escape from our responsibilities. There are consequences to pay in one chooses this way to provide relief in their life. 3) Change needs to start at the universities. Every year I attended college, tuition rose by 5-15%. It’s insane for me to think that when my children go to college, it could cost $100,000 per year at this rate? Plain and simple – if we want this country to succeed we need to make the most important tool in success, a good education, easier to attain without graduating with 6 figures of debt. Thank you Art and Andy for your thoughtful comments. I truly believe this needs to happen, if only to level the playing field between creditors and debtors. Art, you are correct to complain about egregiously high interest rates and the absence of reasonable relief programs on the part of the private lenders. And, Andy, I share your pessimistic view with regard to a legislated solution at this time. Still, it’s important for those who believe in fair play to continue to challenge these misguided laws and policies. I have a master’s degree in IT, and currently make 45k a year. The job market is terrible and Sallie Mae wants about 1600 a month for the rest of my working career. It is ethical to offshore middle class jobs by the millions and then expect teenagers and young adults to either not make enough to survive, or face a very small chance of getting a good paying job and gamble 6 figures worth of debt for the chance? I consider suicide every day because of student debt. I came from an area with no jobs in 20 miles and no other options to get a degree, I worked my way through school for 7 years and even after all the time and hard work I put in there is probably an 80% chance I will end up dead because of Sallie Mae forcibly taking enough of my income that I won’t be able to afford shelter or food. Bankruptcy is an option for student loan debt! There is a way out. Do your homework before you tell people it is NOT! Not saying it is easy, but the truth is that §523 (a) (8) “undue hardship” remains on the books! While this is true, it is difficult to prove this in court, as there is no definition of hardship in relation to student loans, so will vary court by court. Furthermore, to request to have your student loans discharged in bankruptcy requires an adversary proceeding, which is full scale litigation. This will require a bankruptcy attorney. Even if you were to win, the lender could challenge your case in a higher court. Most of all, If someone can’t afford their student loan payment, how are they going to be able to afford an attorney for this long process? If they’re credit is ruined from defaulting, they’re unlikely to be able to get a loan to pay for an attorney. Even if you can, Since it is difficult to prove hardship unless you are not fully disabled, or approaching retiring age, it is a big risk for people already saddled with debt, to take on more debt or spend the little money they have to pay for an attorney. If they lose, they will be in a worse situation than before! Scott, I am going to prove it is still possible. And I am not able to pay for an attorney. I have spent the last 3 months in research. There are hundreds or thousands who have been able to prove undue hardship. I have no problem trying. What do I have to lose? There is a particular problem I’ve noticed with private student loans I’ve noticed. The majority, some figures say over 90%, of private student loans have co-signers attached to them. Those that don’t have co-signers are probably credit-worthy borrowers that aren’t struggling with their student loan payments, and so wouldn’t need to seek bankruptcy. Correct me if I’m wrong, but if the primary borrower were to have the student loans discharged in bankruptcy, particularly in chapter 7 bankruptcy, the co-signer would still be on the hook (unless they also declare bankruptcy). I think that under chapter 13 bankruptcy there is some protections for the co-signer from debt collectors while the loans are being restructured, but ultimately the co-signor would be left on the hook unless they too declared bankruptcy. loans, so why are we keeping borrowers overburdened by debt, and putting so many families financial lives at stake just to protect some bankers profits? First and foremost, making this whole bankruptcy protection for private student loans in the first place has been a quagmire. It didn’t necessarily make student loans affordable for students that needed them, like Legislatures argued it would. Contrarily, Interests rates on private student loans tend to hover around 12%, many at 18% or even higher. When you remind yourself that the majority of these student loans have financially worthy co-signers attached to them, then you really realize that banks didn’t hold up their end of the deal to provide more affordable interest rates. For example, the interest rate for a credit card for someone with no credit (often the situation for student loan borrowers, but not always) would usually be at 22% or higher. while this is slightly better than a private student loan, a bank isn’t going to give a kid with no credit history a credit card with no limit (or even a limit past $500 in many cases), and most don’t require a co-signer. and that a college education was the ticket to a spot in the ever-disintegrating middle class. So how do we fix this mess we created? Is it politically feasible that congress would ever correct for their mistake of making student loans non-dischargeable in the first place, by changing the bankruptcy code to release co-signers from any liability if the primary borrower were to declare bankruptcy? Given congresses track record my hopes aren’t high. no incentive to work with struggling borrowers. OK except for the fact that the person in that program will have to pay taxes on the debt forgiveness. Someone with modest income, e.g. $50,000 with a large amount forgiven, e.g. $50,000 or more, would not be able to afford to pay the tax on the entire amount so the amount would most likely be based on someone’s ability to repay it. In most cases, the government would have no way of collecting that in any meaningful way so it will likely be forgiven just like we saw with underwater homes in foreclosure or short sales 2007-2012. Bills have been proposed already to do just that. Please call the National Suicide Prevention Lifeline at 1-800-273-TALK (8255) to speak to a skilled, trained counselor at a crisis center in your area. They’re available 24/7.